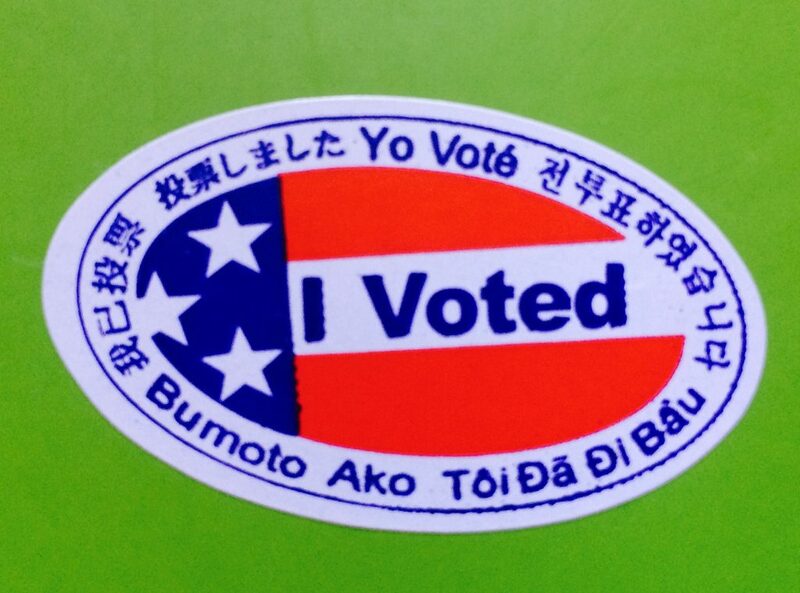 Since moving to California ten years ago, I’ve been shocked by how intense the voting process is here. We vote for seemingly everything, and often. It seems only a month a two goes by before I start receiving political flyers and a sample ballot in the mail. Again. Most of the time, I feel totally overwhelmed. Most of the candidates and ballot measures we’re asked to weigh-on in, I know nothing about. And for a long time I’ve felt it’s been hard to get reliable information, aside from what is mailed to us with our sample ballot, so that I can make educated decisions. Voting isn’t just a right; it’s a responsibility. I don’t take it lightly. I don’t want to “eenie, meenie, miney, mo” my way through the ballot. And I don’t think you should, either. Of course, it’s your choice. It’s your right to vote as you please. But I think we owe it to each other to make informed decisions. These aren’t just offices or measures we’re voting on – these are things that impact people’s lives, some in a very direct way. I choose not to be cavalier about that responsibility. Last night – a Friday night – I researched and completed my mail-in ballot. Do I know how to party, or what? Seriously, though, I spent a few hours looking for information online that would help me make decisions about each item on my ballot. I wish I found one central place where all that information is available, but I didn’t. So I decided to put it together and share it with you. Now – this is information specific to California/Los Angeles, where I reside. But hopefully it will help to point you in the direction of where you might go online to find information about your district. I’m not only including links that offer simplified explanations of each measure along with arguments for and against, I’m also including links to who or what the state or local Republican and Democratic parties are endorsing. Some of these ballot measures are tricky, and I find it helpful to know how my party feels about the issue. And who the hell knows anything about the judges, unless you are somehow involved in the judicial system? If you’re voting third party – go, you maverick! I’m going to assume you know where to find the information you need, or that you’re smart enough to figure it out. While included in the endorsements links, I didn’t find a great source of unbiased information about the two Los Angeles County measures on the ballot. Please comment if you know of one, or if I missed anything that you think is important. Remember – your vote counts! Take the time to educate yourself so you can make an informed decision.